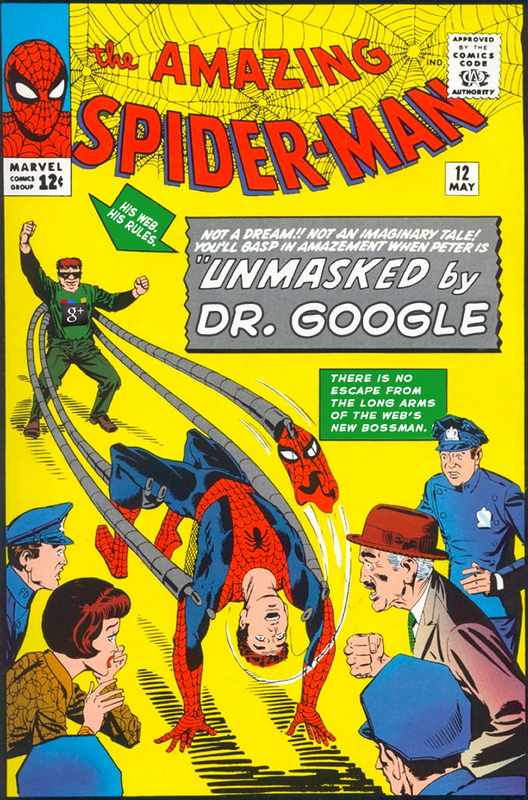 Botgirl's Digital Playground: Spiderman Unmasked by Dr. Google! The Golden Age Version. Spiderman Unmasked by Dr. Google! The Golden Age Version. Brilliant cartoon on many levels. A metaphor for what google will be doing at the algorithm level. This cartoon also puts this in everyday language for the common person(the non techy).